The Nokia N9 is unique for a number of reasons including its swipe-operated MeeGo system and pillowy form, but what you probably didn't know is that it has the fastest auto-focus camera in a phone, according to Nokia Conversations. Nokia's official blog took its time to measure the seconds and miliseconds a phone needs to fire up its camera application, start the viewfinder, focus on an object and capture the image. The total? 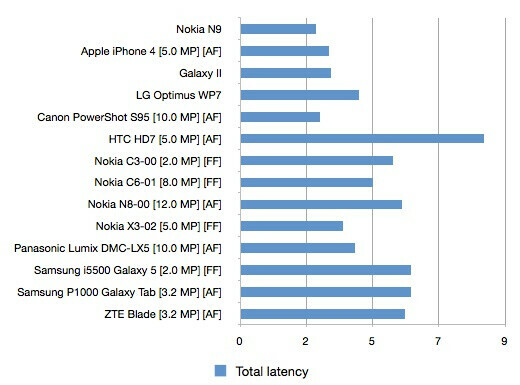 Nokia's N9 scored an impressive 2.6 seconds of latency for the whole procedure, slightly faster than the 3 seconds the same set of operations took on the iPhone 4. “Once you press the on-screen camera key, the image is taken immediately. It’s the fastest image-capturing phone on the market,” Nokia PM, Jens Wilkes stressed. Curiously, the N9's 8-megapixel Carl Zeiss auto-focus lens is much faster than the 12-megapixel snapper on the Nokia N8, which took some 6 seconds to capture an image. Oh, and if you ever wondered where this Carl Zeiss branding comes from, Nokia reveals that to get a camera approved by the optycal system maker, it has to pass the tests to finally gain Carl Zeiss's approval. The Nokia N9 also hit an industry-first with non-destructive photo editing allowing you to revert step-by-step all changes you've made to an image. With no dedicated shutter key, you'll have to rely on a software button, which you can move around to focus on different objects. Except for that, the continuous auto-focus will do its job and color the box blue to let you know that the object is in focus. The N9's snapper supports up to four times digital zoom, while the camera focus range starts from 10 cm and goes to infinity. It can also record 720p HD video with a frame rate of 30 fps. Here's an idea. Take our phone and choose another 50 phones by different OEMs. Make a test. Discard the phones, performing better than our phone. Make another test with the remaining phones and post the results. We have a winner! Cheap PR, Nokia. I will never buy phone from you. huhh ? where did you read that ? I see the best/fastest camera-phones in the list. sgsII, N8, ip4 to name a few. I'm convinced Nokia made the best phones some time ago. I hope they will again some day. Bad management is what killed Nokia. Their phones are "4G" capable, they actually show up as 3.5G on the screen, which is what current GSM/UMTS "4G" speeds are. I don't know off the top of my head if they top out at just 14.4 MB/s or 28.8 yet, but that's as fast as any of the GSM/UMTS 4G phones have going right now, and they've had them for almost a year. Furthermore, Nokias do very well with the hardware onboard. I've never had a problem with TRUE multitasking, scores of apps, and responsiveness on any of the Nokias I've had, all the while enjoying the best call quality and signal reception in the business. One of my favorite activities is running speed and reception tests against my friends with iphones, and watching how badly they fail. 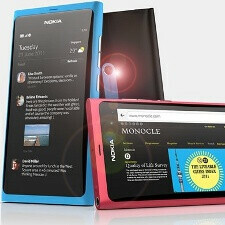 N9 just climbed up in my wish list! I might get the N9 after I'm done with SGS2. MeeGo might not be a dead-end OS after all because LG will also strut their MeeGo handset later this year or 2012. Now Nokia WP7 or N9? Yes indeed. LG will not update the N9 but LG will probably update it's own MeeGo handset. It's not possible for LG to bring 2.3.4 to SGS. THE HTC Sensation 4G and EVO have the instant capture feature. Nokia needs to add those two phones to the comparison. Wow, .3 seconds faster than the iphone. That's huge, hahahahahaha. This phone is looking better and better, so glad Nokia put time and effort into developing MeeGo. Now let's hope they release it quickly! It will be released 4th qtr of 2012.